There are 9 reviews of Resina. Brand new tires, a dive wetsuit. Toasty resins and coffee beans. A touch of sweetness, a hint of spice. Sort of an oddball but helluva nice! Dry. Fireplace, wood smoke incense vibe. Sweet, honeyed, powdery resin smell. First blast reminds me of the smell of new shoes or a handbag. Leather-like but, more like deer hide or kiddskin, not cow leather. The incense here is restrained, refined. Jasmine here is sweet. Slight tea note, at the bottom. Leans towards femme. Resina features a list of notes that look like they come from a heavily spiced Christmasy oriental. But they're dry, spare and have the "shimmering," refreshing presence I now associate with Oliver & Co. Not what you expect, given the notes. The spiced opening fades and we're left with a really nice dustry, ambery, woody incense, a hint of satisfying bitterness, and light but persistent sweet anise note. It's all very buzzy and energetic - purposefully synthetic. If you're in for a straight-ahead oriental or incense, this isn't it. It would be very wearable in summer, and is amazing versatile for its genre. Nicely done! Resina is a lovely mix of (duh!) resins, and is woody and spicy, but it really scores for me because it has a buoyancy lifting it out of more fougère territory. This seems to be thanks to the anis running through it and also to a spicy lift early in its development. This gives the same type of lift as clove but doesn't smell like clove - it must be the mace mentioned in the usual Oliver & Co massive list of notes. I can't remember what mace smells like but remember it as one of the 'Christmas' type spices. After a bit of internet research, it turns out that mace comes from this weird outer coating on nutmeg, and is lighter and sweeter - this is exactly the feeling I get in Resina - something light lifting the balsamy resins. I haven't seen mace as a note often - maybe due to possible confusion with Mace spray (which the internet tells me is unrelated to the spice - Mace is the brand name). 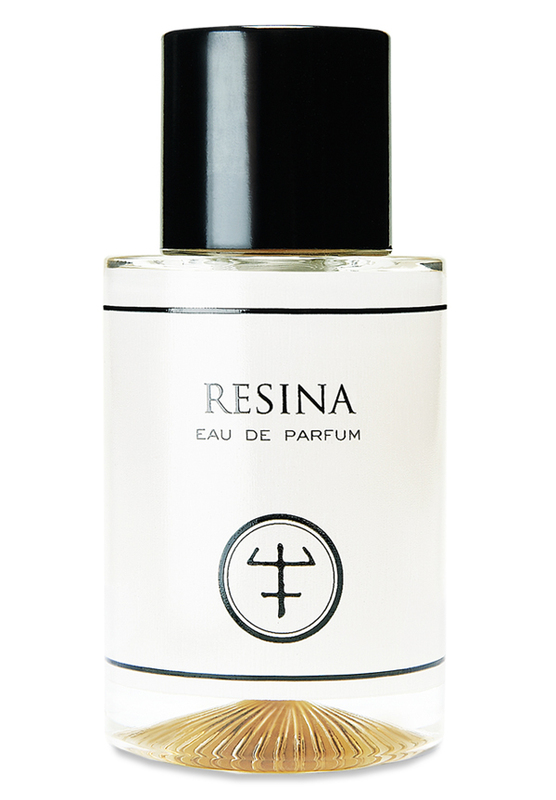 So, as happens with that toothpaste quality to Méchant Loup, Resina is a rich spicy scent which can also be worn in warm weather. It also scores in that it doesn't become overpowering or headachey at all. Great fragrance with great ingredients - very resinous, balsamic, with a nutty sort of freshness, one of my favourites. There are no member images of Resina yet. Why not be the first?